1. Any one who is interested to start an export import business. 2. Any one who is interested to learn international trade of export and import. 3. Employees or management who have been working with import export companies. 4. Employees or management who have been working with shipping and freight forwarding companies. 5. Staff who are with customs brokers. 6. Employees or management who have been with buying agents, export-import trading companies, merchandising companies etc. 7. Students who specialize in the field of international trade, import export firms, shipping and freight forwarding companies, Clearing and forwarding agents, buying agents, merchandisers etc. Have you satisfied with this web blog? Comment below your suggestions to improve this web blog or click here to continue reading. 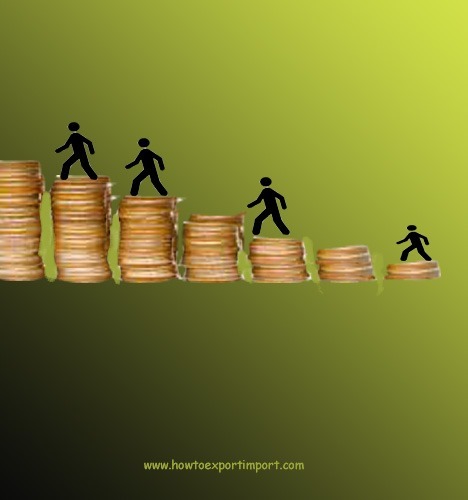 Ram Prasad: On 23 August 2013 hi, This blog is very useful for me because i am beginners regarding export import business.keep giving this type of articles. Dhanraj: On 16 October 2013 Thank you very much for articles. Armin: On 14 November 2013 Thanks! This is a wonderfull website! Verry usefull! There are not many (or let me say none) like these! Sandeep gupta: On 28 November 2013 Thanku for info. which can be very infomative for the begginers. sir i want detail knowledge that how can we start import and export business and how can we get the customers? rajanikanth: On 03 December 2013 hi, this website is one of the best website which i have gone throgh, thanks for making aware about so many issues. Raja Sivanthiyapuram: On 07 December 2013 Relay wonderful web site.It will help to both beginning & existing exporter , importer.I am collected lot of useful information for my export business from here. Abhilash: On 10 December 2013 hi,this website is very useful to all those who are working in freight forwarding companies,customs house agents and also for exporters and importers also,really it is wonderful website,and also please update more information on export,import & customs procedure. preeti karemore: On 15 December 2013 thank u sir, this site really helped me out in many exports terms which i was unaware. this is awesome !!! tmihr@yahoo.com: On 18 December 2013 Thank you so much Sir. May God bless you.! Yogesh Chauhan: On 19 December 2013 When I'm free i like read your articles. Many many thanks for the valuable knowledge. hakan öztürk: On 20 December 2013 thank you very much for your site. Benhmed Maha: On 28 December 2013 Dear Sir,thank you so much,you can't imagine how helpful your bolg is for beginners like me,once again...thank you very much. tushar badgujar: On 31 December 2013 dear sir, thank you very much for spreading knowledge to new exporters , this selfless service is really helpful to increase export for new business persons.Request you to start current policies link for any changes if occur. Rajesh: On 09 January 2014 Hi, This is not an article instead its a treasure for whose who needs to be successful in Import and Export business. Please update this blog periodically to know more. Jyoti: On 22 January 2014 Dear Sir Thanks for your knowledgeable information which you are spreading to everyone.Its very simple and easy to understand. Its very helpful for us. K.M.Senthil Kumar: On 23 January 2014 Really gives useful insights and fine aspects of the various procedures to be adopted by the beginners of export firm. Thanks a lot for your guidance and keep doing good work to the people who lack information on this subject. ABHAY BHALERAO: On 01 February 2014 I m new in this Business, waiting for 1 st deal, having strong sourcing capacity of any item.Backed up with finances. Yhis site will definitely help me to go ahead.Thanks a lot. Gaurav R. Pandey: On 15 February 2014 Yes, I satisfied this blog This site is very helpful to make the carrier in export/Import field coz its given in very simple language. Thanks to spread this kind of knowledge. Keep the updates continue..
Nishit Shah: On 19 February 2014 This site is very helpful and easy to learn and grasp it. It is useful who all are connected with International Trade.Thanks for providing such useful information to each n everyone.... !!! Nishit Shah: On 19 February 2014 Thanks to one who sharing such information. This site is really useful to one who is connected with international trade !! Prakash: On 10 March 2014 Thak you Mr.Suredran for your efforts. Such an iformative blog. I appreciate your genorosity. Keep us educating with more iformations. Good luck. Houssam Mimouni: On 13 March 2014 thank you very much for your efforts and infos. Vijaya Joshi: On 03 May 2014 Halo, I was looking for F.O.B definition as I am entering in new territory of importing goods from China to UK. and I stumbled across your website by accident and what a wonderful accident that was! I am now reading all that is written and forgot the time. I added you on my favourites so I do not have to waste time in search engine. Thank you, Thank you & Thank you again. Ajeet Singh: On 22 June 2014 Hi, I have just joined a Export oriented concern in course of work I had many doubts but now after getting this useful website I am confident and all articles in this website is very helpful. In my opinion there should be one discussion forum and I need some articles related to Forex Trading. I would like to know that can be bargain with banks in course of buying currencies from banks as that fully depends on the Inter-Bank Rates. Parminder Tyagi: On 24 July 2014 This site is very useful for everyone i.e. who want to learn/who want to start/who want to gain knowledge for export and import. Thank you very much. shakib: On 12 August 2014 This site is very useful for everyone . who wants to learn/who wants to start/who wants to gain knowledge for export and import. Thank allot. Ehsan Malik: On 08 September 2014 WELL DONE!!! VERY INFORMATIVE.THANK YOU! Mahavir: On 21 September 2014 I am starting my journey of EXIM trade. Mohd Saleem: On 26 September 2014 Thanks for sharing the informations and knowledge. Pankaj Singh: On 09 October 2014 Really helpful blog. I was looking for a website that can help me understanding the basics of export business form India & lo I found your blog. Its just like wish come true sort of thing. respect & regards for all your efforts. Abdul Mageed Rassak: On 10 October 2014 I had been searching a college to learn about how to export and import for my knowledge. Now only found thanks god. Wilson Thomas: On 04 January 2015 The site is very informative, especially for beginners. When one browses through its pages, it shows the integrity and sincerity of the blogger in reaching out to share his knowledge. Keep the good work going. I would appreciate if you could post some articles on exporting medical/surgical disposables and other pharmaceutical OTC products. Ravi Babu: On 01 February 2015 Hello Sir, Thank you for taking this initiative, this is very informative, can you please help me to know more about import and export buiness, I would like to start a small one, kindly guide me and give me you support. Sai krishna Ranganath Tumu : On 19 February 2015 I would like to convey you my sincere thanks from the bottom of my heart for putting up such a informative blog of yours..Howtoexportimport.com and dispersing the knowledge you have gained during your earlier years Via the blog of ur's. In a nutshell to say you have proved that "Knowledge is Power" in the way its is trying to help many of people who are referring your blog for several purposes.Keep up this efforts and make the blog a more happening place than ever. vivek sharma: On 05 March 2015 Dear Sir, thank you very much for valuable informantion. Deepak Pottanani: On 17 June 2015 I am really grateful to the creator(s) of this website. If not for this blog a lot of my queries would taken a lot of time to get answers. SONI GUPTA: On 12 August 2015 IT IS POSSIBLE TO ONLINE WE LEARN THIS COURSE. mallesh: On 21 August 2015 Very nice web site. we have learned lot of things in export import business thanks a lot. Rudra narayan dhal: On 31 August 2015 sir,i am a regular blog reader , i never see this type of valuable blog in India, u don't know sir how many people who r interested to start this business how helpful to them,this is just amazing blog i have to only say sir you are doing a novel work and give many information of your 25 years great experience. you are true teacher for this work.please keep it on, please write such valuable articles and most important sir please write about yourself also. THANK YOU VERY MUCH,GOD BLESS U & UR FAMILY !!! Isuru-From Sri Lanka: On 10 September 2015 this is what I was looking for to get a full knowledge in Export-Import concept and logic. bcoz I do not like my current job.so seeking a point of start like exporting goods from my country.so still could go throught the site completle.and hope you will keep it up.hipe to get updated article news on this site.thank you and wish to do your best. cheers from Sri Lanka..
Sanjeev Bagga: On 13 October 2015 I had some queries regarding import export proceedures, to which I found extremely satisfying answers in your website. I wish to thank you for the same. Sriram Balaji : On 13 October 2015 I came across your website while browsing for information on how to start import & export business from Bangalore. I read through some of the information from your website and found to be very helpful. Further, I request your guidance on starting this business which I always dreamt of. Please let me know if you can mentor this dream of mine to succeed in this business upon which I will start working on the business plan based on your valuable input and feedback. manoj sankhlecha : On 13 October 2015 I have done B.com and MBA in International trade. I saw your blog howtoexportimport.com. I want to learn import/export business under your guidance. please revert as soon as possible. Victor Larrea - Freightlogistics C.A. : On 14 October 2015 Good day I am follower of you web side and I appreciate you efforts to share value information online.I have been into the logistics activities for many years and I would like to know if you can share some information regarding freight forwarder networks, like their base legal structure, are they legal companies or they are freight forwarder agents , protecting plan , etc . Pradeep Kumar Srivastava: On 01 December 2015 Excellent! it is just like tutuion teacher and student face to face. My best regards to the writer and publisher of this simple but useful articles. J. Banerjee: On 02 February 2016 Would like to get guidance as follows: An electrical equipment, say, transformer is manufactured outside India. Employer would like that Freight charges and responsibility of delivering the equipment to site is covered under the responsibility of contractor and NOT the Employer. The equipment is transported first by (i) sea , then by (ii) air and finally by road to site. Would like to know - whether CIP or CIF is preferable and is "sale in transit"can be made applicable in both. saleh - : On 23 December 2016 i want to know who can issue the house air waybill? Tanya: On 01 May 2017 Thanks for sharing this type of knowledge. Its really Helpfull For us. Neeraj Dev: On 15 May 2017 Hello Sir i m neeraj from Raipur can you please provide this all How to export import related information in Book form because its not possibale to seat in front of laptop and read all information. Khushwant Kaur: On 27 June 2017 Sir, can i get the website information in book or in other way ? joseph: On 20 April 2018 Dear Sir, The information are provided here very useful for beginners also working employees. Lots of information for who can become a new exporter. Do you provide certification course regarding the exports. Hemant Kurne: On 22 June 2018 Dear Mr. Surendran. You have shared an excellent knowledge without charging any fees. Thank You so much.